Are you frustrated with your home landscape? Don’t know the names of the plants or how to take care of them? Want to make your landscape more appealing but don’t know where to begin? We’ve got the solution to all your landscaping dilemmas! Get your video camera and audio recorder ready! We’re going on a tour! Follow me as I walk through your landscape and name all of your plants and then tell you how to prune and take care of them. 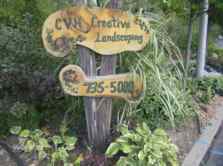 We can even make suggestions on how to improve, renovate or redo your existing landscape. The best part is that you will have it recorded, so you can always refer back to it to refresh your memory! If it is a total landscape renovation you’re after, then we can guide you from start to finish and you’ll save a fortune! “Got an old and tired garden that needs a MAKEOVER?” If you have the will I have the skill. Got a lot of ambition, but not a lot of money? Then do-it-yourself! You’ll save thousands by doing it yourself with guidance from a pro! You can have professional advice onsite from beginning to end…. 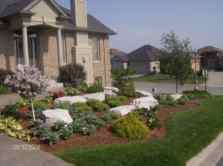 We are the affordable alternative to landscape contractors! Our rates are hourly and easy on the budget. 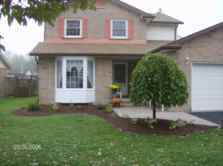 We have been serving the Welland / Fonthill and surrounding area for more than 25 years! 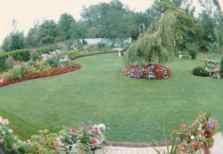 We are graduates of horticulture and are well-versed with all aspects of landscape maintenance and design. Gift Certificates are offered and are great for birthdays and special events, for that person that you don’t know what to get? Get your video camera ready & record me as I explore your landscape & answer questions!